Subscribe today to receive each new issue of Cornucopia hot off the press. And as a subscriber, you will enjoy a host of privileges as part of our Subscriber Club. 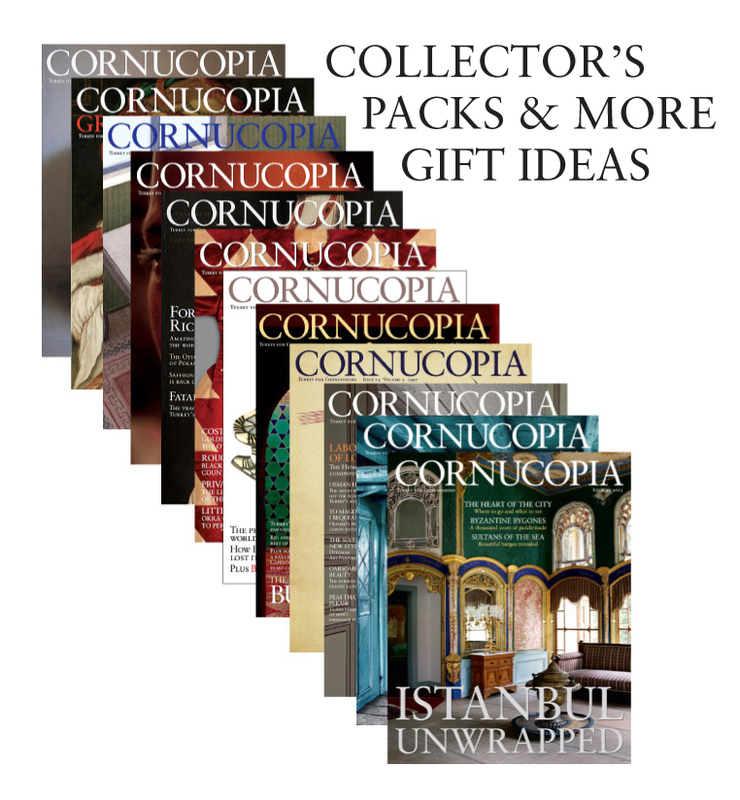 Cornucopia subscriptions also make great gifts for discerning friends. The latest issue is Cornucopia 58, Anatolia’s Far Pavilion. Renewal issues will automatically be added to the end of existing subscriptions. Pay directly by bank transfer to take advantage of pre-devaluation rates here. If you are already a subscriber, you can order discounted gift subscriptions and more here. PLEASE NOTE: Subscriptions to Cornucopia are registered by the issues subscribed for and not by dates, which can vary. That way, subscribers receive all the magazines they have paid for as soon as they are published. Our latest tote bag designed exclusively for Cornucopia by Rıfat Özbek is sent free to all new subscribers.